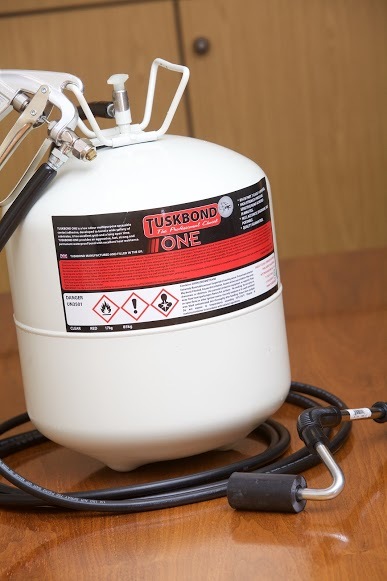 Tuskbond offer a complete range of High Performance Canister Adhesives and Accessories for professional use, available in a range of sizes and colours. 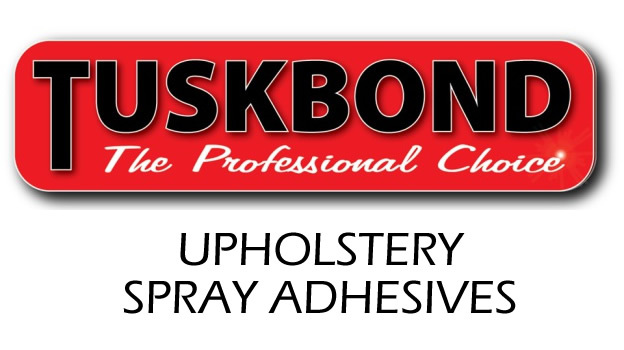 All Tuskbond Professional Adhesives are manufactured and filled in the UK. 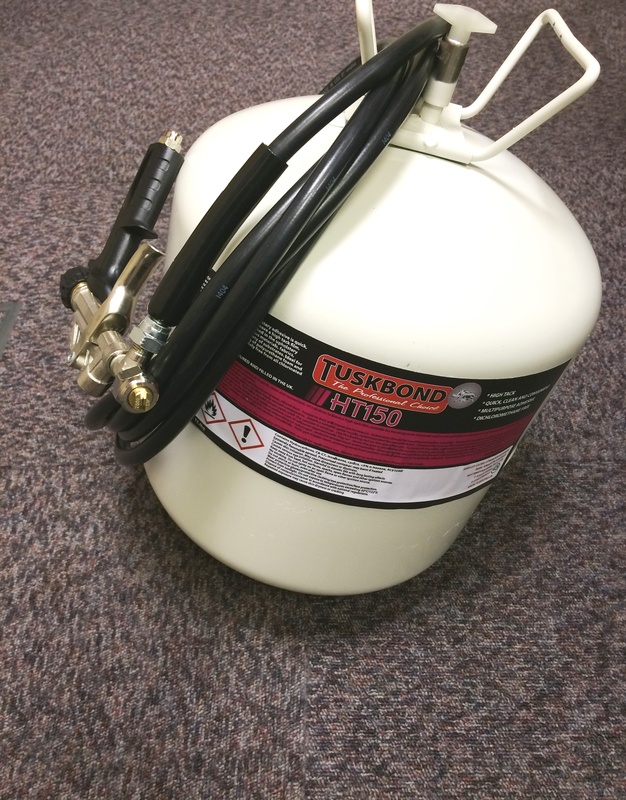 Tuskbond canisters are pressurised and delivered through a gun and hose system which means Tuskbond is fast, accurate, ergonomic and portable, ready for use in a range of applications. Tuskbond has been tested by Warrington Fire Research Centre and to the surface spreader of flame test to BS476, Part 7: 1997 and has been categorised Class 1. Copies of the certificate are available on request. Tuskbond HT150 multipurpose upholstery adhesive is quick, clean and convenient. HT150 dries to leave a high tack film, suitable for bonding most fibrous materials, fabrics, insulation and polythene foam to a variety of substrates. Ideal for small scale assembly and laminating of polyurethane foam. HT150 is completely free from all chlorinated solvents. 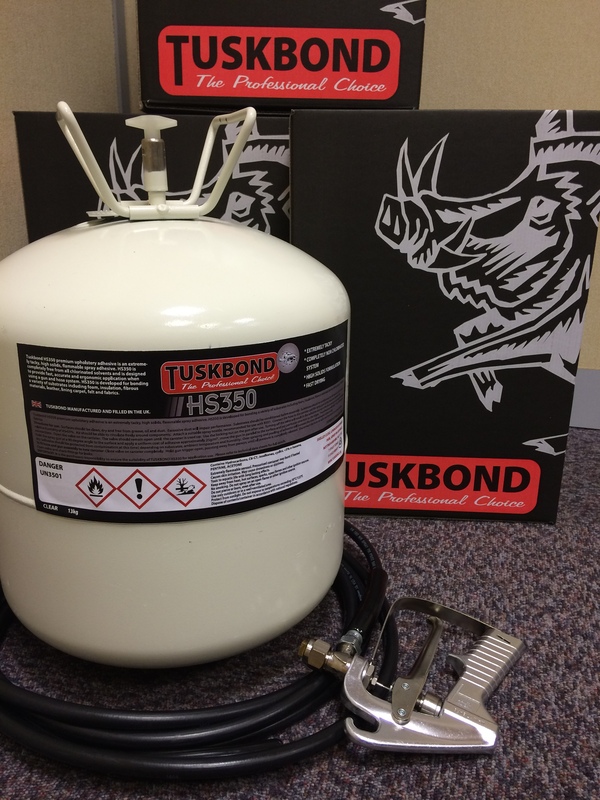 Tuskbond HS350 premium upholstery adhesive is an extremely tacky, high solids, spray adhesive. 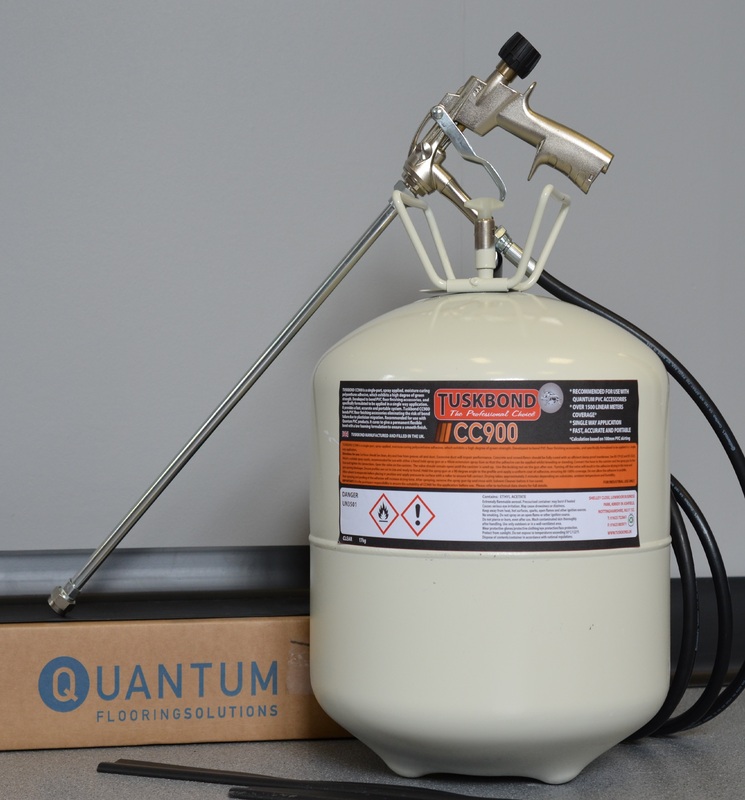 HS350 is completely free from all chlorinated solvents and is designed to provide fast, accurate and ergonomic application when using a gun and hose system. HS350 is developed for bonding a variety of substrates including foam, insulation, fibrous materials, leather, lining carpet, felt and fabrics. TUSKBOND ONE is a low odour multipurpose sprayable contact adhesive, developed to bond a wide variety of substrates, it has excellent grab and long open time. TUSKBOND ONE provides an aggressive, fast, strong and permanent waterproof bond with excellent heat resistance up to 100°C. 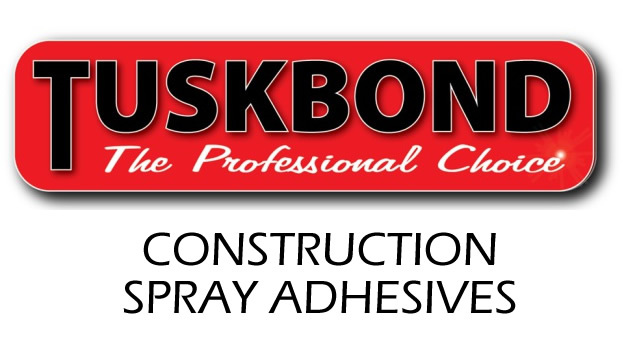 TUSKBOND ONE is the original and the best multipurpose spray contact adhesive on the market, made to the same formulation right here in the UK for over 13 years. Millions of sqaure meters permanently bonded, the only ONE for the job. 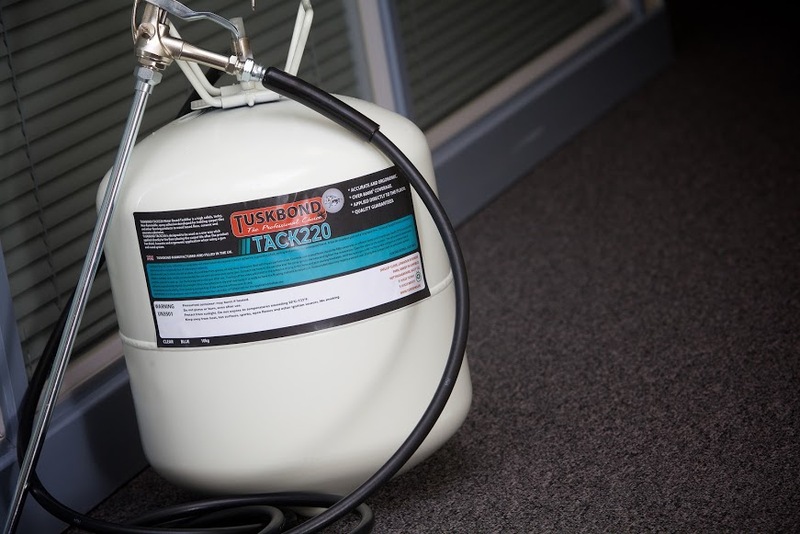 Tuskbond Tack220 is a high solids, tacky, non-flammable, non-toxic, water based spray adhesive developed for holding carpet tiles and other flooring materials to suitable subfloors including flooring grade plywood, OSB Board, hardboard, ceramic, concrete and existing non-cushion backed resilient floors. Substrates must be well bonded and free from any surface contaminations such as polish, wax, and cleaners. 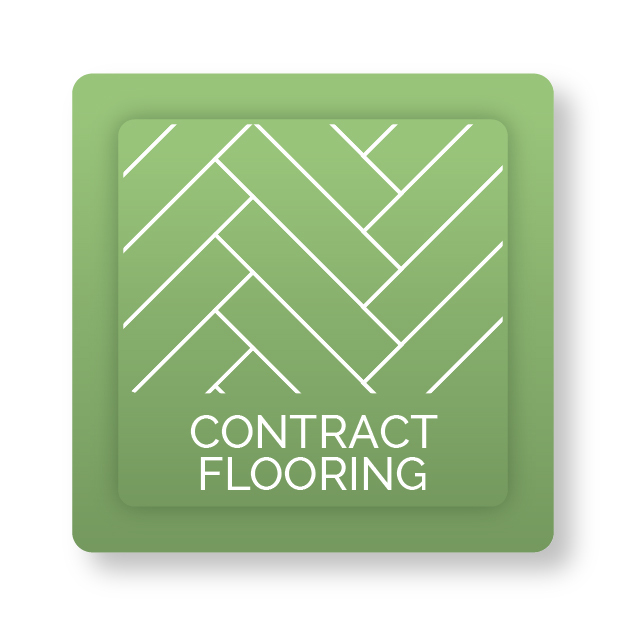 Designed to be used as a one way stick applied directly to the floor with the carpet tile placed on the floor after the product has dried. Fast, accurate and portable application, recommended for use with an extension gun and hose system. 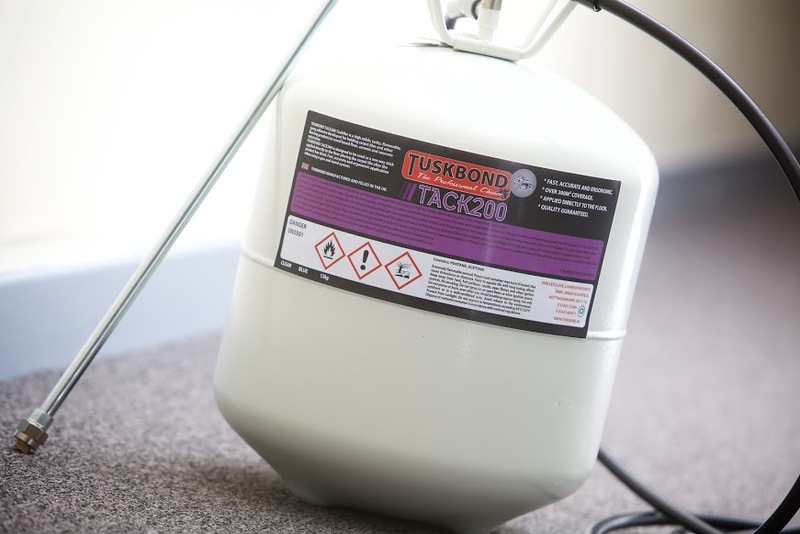 Tuskbond TACK200 Tackifier is a high solids, tacky, flammable, spray adhesive developed for holding carpet tiles, underlay and other associated flooring products to wood based floor, ceramic and concrete substrates. Designed to be used as a one way stick applied directly to the floor placing the carpet tile after the product has dried. Tuskbond TACK200 is specifically formulated once dry to provide a permanently tacky film, preventing carpet tile movement under normal foot traffic. Fast, accurate and portable application, recommended for use with extension gun and hose system. Tuskbond CC900 is a single-part, spray applied, moisture curing polyurethane adhesive, which exhibits a high degree of green strength. Developed to bond PVC floor finishing accessories, and specifically formulated to be applied in a single way application. It provides a fast, accurate and portable system. Tuskbond CC900 bonds PVC floor finishing accessories and portable system. Tuskbond CC900 bonds PVC floor finishing accessories eliminating he risk of bond failure due to plasticiser migration, recommended for use with Quantum PVC products. It cures to give a permanent flexible bond with a low foaming formulation to ensure a smooth finish. Tuskbond XPR0 is our next generation adhesive canister using innovative solvent technology, meaning that the adhesive maintains a low hazard to human health due to its low toxicity as well as causing minimal negative impact to the environment. Possessing all of the best qualities of Tuskbond One, XPR0 has high bond strength, excellent heat resistance and fast drying time, with the advantage of being completely free from all chlorinated solvents. It is easy to apply with a long open time, providing an aggressive, fast and strong bond. Tuskbond XPR0 gives permanent waterproof bond to a wide variety of substrates, including wood, metals, rubber, fabric, most plastics, cardboard and concrete, as well as decorative laminates.